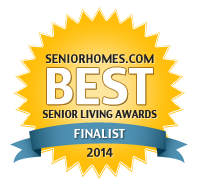 The bathroom is the one room in the house where most falls occur. Regardless of the stage of dementia, strategic placement of grab bars can significantly reduce the risk of falls for all people. People with compromised balance, cognition, vision, sensation, or strength need grab bars- and probably more than one. It is perfectly natural to reach for an object for stability. Many times, unfortunately, the object might be a soap dish, a shower door, a faucet, a sink, or a towel rack… none of which are suitable items for supporting body weight or stabilizing posture. Someone with impaired cognition may not see the need for a bar nor have the insight into their own potential for falling. But, along the continuum of progressive dementia and the decreasing ability to learn new safety strategies later in the disease, installing them sooner is better than later. If someone is resistant to the idea, bargain for just one to “see how you like it.” Most people warm up to the bar right away. 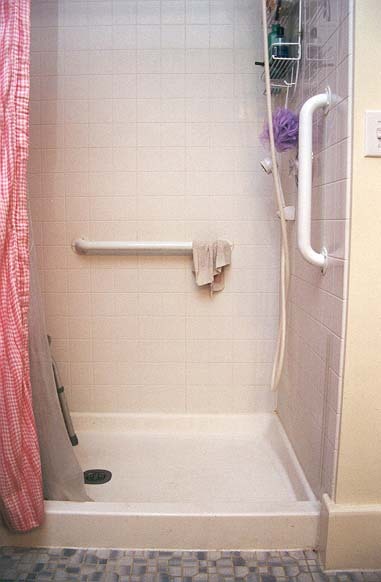 Grab bars, installed by a professional into the studs, are ideal when placed next to the toilet- high enough to help the person pull upward and not just forward when coming to stand. In the shower, one at the entrance/exit and one along the wall where the person stands would be ideal. Having an occupational therapist or contractor specializing in handicap modifications determine the placement is a good idea. 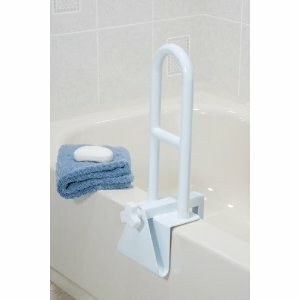 Tub rails are excellent stabilizers when placed correctly toward the faucet-end of the tub, and are a terrific aide for transferring into and out of the tub. Don’t forget the importance of non-slip surfaces on the shower/tub floor and rugs that do not slide and do not get tangled up under walkers and canes. 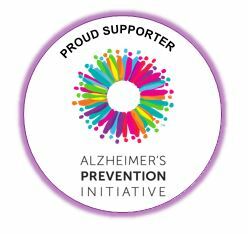 During the later stages of Alzheimer’s, try wrapping the bar in a bright orange or red tape. This is visually draw attention to the bar and help cue the person to reach for it.